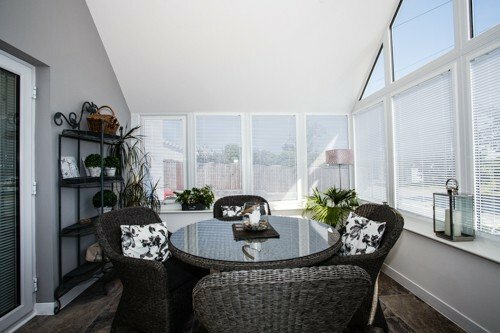 The Leka, warm roof conservatory system has been engineered through innovation, technical design and years' of practical experience to create probably the best conservatory roof system available. With hundreds of happy homeowners enjoying the benefits of their Leka roof, this is a proven roofing system that is widely recommended in the trade. It can replace the roof on most existing conservatory builds including most glass, fibreglass and polycarbonate roofing systems, all without the need for additional bracing. Below you will find a detailed system breakdown to help you how the only conservatory warm roof system of its kind in the world can transform your existing conservatory or enhance your proposed new conservatory project. The conservatory roof market is diverse and there are various options available to you. However, the Leka system is direct in its approach, providing only the best in materials following extensive tests. Every element of a Leka roof is engineered to perfection to create a roof that lasts. That is why it has a 40-year warranty. Please read the information provided below and contact us for more details if you do have any further questions. The Leka roof has been successfully installed on hundreds of conservatories. It is used to upgrade existing roofing systems for aesthetics and performance. We invite you to view some of our recent case studies to adjudge the appearance of the Leka roof for yourself. We also have an extensive list of testimonials from installers.